The co-evolution of plant—pathogen interactions has been revealed in unprecedented detail in a study of one of the world's deadliest crop killers. This is the rice blast pathogen, which destroys enough food to feed more than 60 million people every year—almost the population of the UK. The team, led by Professor Mark Banfield, focussed on an immune receptor in rice to show how it has evolved to recognise multiple versions of a pathogen effector protein, a molecule used by the fungus to promote disease, in a sort-of "molecular handshake". This recognition leads to the disease being stopped in its tracks. "In addition to understanding how natural selection has driven the emergence of new receptor functions, we also highlight the potential for molecular engineering of new receptors with improved activities," said Professor Banfield. "While further work is required to translate our findings into real world solutions to plant disease, our study brings us one step closer to this goal," he added. This study represents one of the most detailed structure/function analyses of pathogen recognition in plants, to date. 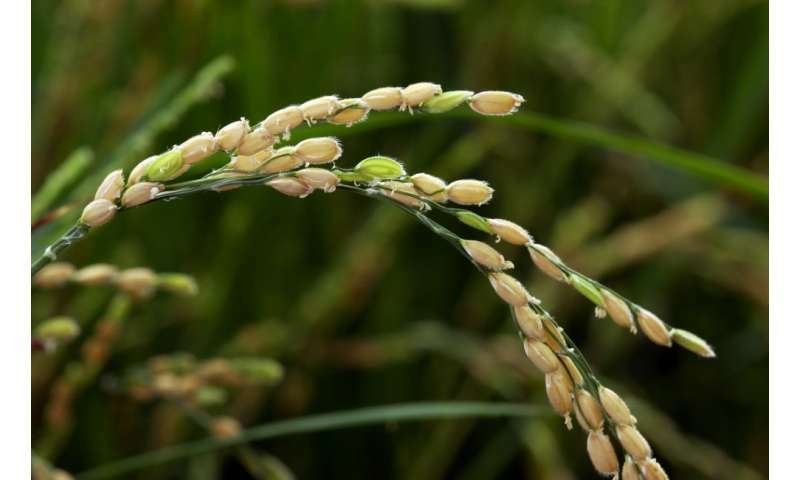 The findings are outlined in the study titled: "Polymorphic residues in rice NLRs expand binding and response to effectors of the blast pathogen", which appears today in the peer-reviewed Journal Nature Plants.